Ace marksman Gagan Narang, did India proud by clinching the bronze medal in the men's 10m air rifle event in London Olympics 2012. Narang shot 103.1 in a gripping ten-shot finals for an aggregate of 701.1 after scoring 598 in the qualifying round in which also he stood third. The ace shooter supported by the Olympic Quest was the first Indian to qualify for the Olympics 2012. Gagan Narang's family hails from Panipat in Haryana. Gagan Narang is a gold medalist in the Afro Asian games, 2003 in Hyderabad on October 26, 2003 in Men's 10m air rifle competition. In a pre-Olympic event in Hannover, Germany, Gagan shot an air rifle score higher than the world record, 704.3 as opposed to 703.1 set by Thomas Farnik of Austria in the World Cup 2006. Gagan Narang added 4 gold medals to the Indian tally at the 2010 Commonwealth Games in New Delhi. In the Men's 10 m air rifle singles event, he shot a perfect 600 which was a new record. 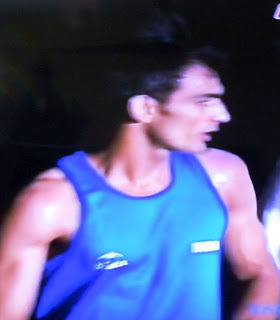 Gagan also clinched a silver medal in his pet event at the Asian Games 2010. He also combined with Abhinav Bindra and Sanjeev Rajput to provide the country with another silver, in the team event behind champions China. Today he did the Nation proud by winning the bronze medal, as there were bright prospects of him doing even better. Gagan was just behind the silver medallist Niccolo Campriani of Italy who scored 701.5, while the gold medallist Alin George Moldoveanu of Romania was at 702.1. Narang was on course to a silver, but slipped a bit and had to fight for the bronze medal with China's Wang Tao who finished fourth with 700.4. After returning poor scores of 9.9 and 9.5 in the seventh and eighth attempts, Narang pulled up his socks to seal the bronze with impressive scores of 10.3 and 10.7. It was sad however that defending champion Abhinav Bindra suffered a shocking exit with his dismal show in the preliminaries in which he stood 16th out of 47 contestants with a score of 594 out of 600. Narang's bronze medal is Third one for India in Shooting events, following Rajyavardhan Singh Rathore's silver in double trap in Athens 2004 and Bindra's gold in the last Games at Beijing. This is also India's eighth individual medal in the Olympic Games. The Haryana government has announced a reward of Rs.one crore for shooter Gagan Narang . Even though Narang does not belong to Haryana, he has been given the reward under the category of sportspersons from the state as his family roots are from the northern state. Chief Minister Bhupinder Singh Hooda announced the reward for Narang immediately after he won bronze. 10 metre air rifle is an International Shooting Sports Federation (ISSF) shooting event, shot over a distance of 10 metres (10.94 yards) from a standing position with a 4.5 mm (0.177 in) calibre air rifle with a maximum weight of 5.5 kg (12.13 lb). The use of specialised clothing is allowed to improve the stability of the shooting position and prevent chronic back injury which can be caused by the asymmetric offset load on the spine when the rifle is held in position. It is one of the ISSF-governed shooting events included in theOlympic games. 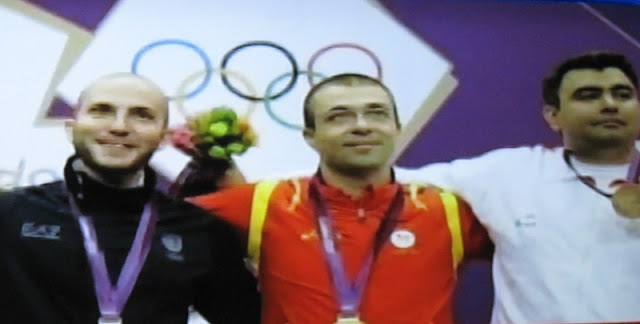 The Gold medalist Romanian Moldoveanu held his nerve with a final shot of 10.3 to hold off his rival, who finished just 0.6 behind. Train No. 12622 – Tamilnadu Express traversing 2180 kilo meters is a prestigious train. From New Delhi station it crosses 275 intermediate stations but has only 9 halts. Presently it leaves New Delhi at 22:30 hrs and reaches Chennai at 07:15 on day 3 morning, running 15 minutes less than 33 hours. It covers the distance at an average speed of 67 kmph. This train was introduced in August 1976 by Indira Gandhi. This train is a very demanded train and gets about 24 coach rake generally comprising 6 AC coaches, 13 Sleeper class coaches, pantry car, two general unreserved second class coaches and two SLRs. As you put your neck out of the coaches nearer the Engine, you will see a long serpentine line of coaches. Sadly, there has been a fire accident in the early hours of today and more than 40 persons are feared dead – the no. of casualties differ from the various sources describing the ghastly accident. First Post and various other media report that several people were killed and others injured after the Delhi-Chennai Tamil Nadu Express caught fire near Nellore in the early hours of Monday, 30th July 2012. It was initially reported by the IANS that five people were killed, though the toll was likely to rise. However, latest report put the toll very high as arising out of the fire that broke out around 5.30 am in the S11 compartment minutes after the Chennai-bound train left Nellore railway station in south Andhra Pradesh. While 15 passengers are believed to have jumped down from the burning compartment, there was no official word about others. Generally reserved compartments have 72 berths but could always seat more and many travel cramped in compartments. Sadly there are reports that many were trapped inside when the flames engulfed the compartment. Fire fighting personnel extinguished the fire and rescue workers were using gas cutters and other equipment to retrieve the bodies. Ambulances were pressed into service to shift the injured to hospital. Top officials including district collector and superintendent of police rushed to the scene and supervised rescue and relief work. The district collector said burning bogie was detached to prevent the fire from spreading to other compartments. As the train was not moving at full speed, some passengers either entered the adjoining compartment or jumped down. However, those sleeping on the upper berths could not escape as the smoke spread fast and even the doors were not opening. A rescue train from Chennai has left for Nellore in order to help identify the passengers who were injured or killed in the accident. First post reports that Families whose relatives may have been travelling on board the Tamil Nadu Express in the S-11 coach can email details of their family members to the Government Railway Police at apgrp@yahoo.com. Police authorities have requested relatives of those who may have been injured to send them details so that they can identify the victims and those who have been admitted to the hospital with injuries. For contact the Helpline numbers at Nellore are : 0861-2345863, 864, 865, 866 and 0866-2576924; At New Delhi Station: 011-23342954, 23341072, 23341074. Olympics 2012 has so far not been the brilliant best for India. There is lot of expectation from pugilists as there were entries in Lightflyweight, bantamweight, lightweight, lightwelterweight, welterweight, middleweight and lightheavyweight categories from India. Shiv Thapa lost to his Mexican opponent in the bantam weight category. 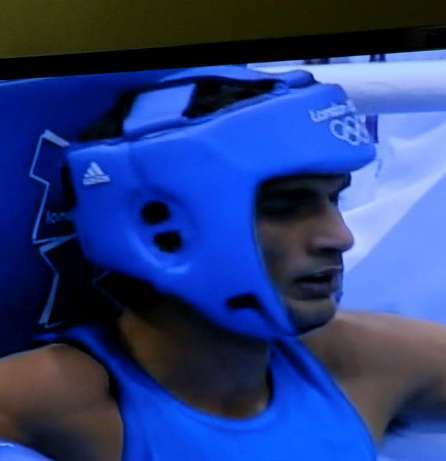 Ace Indian boxer, our favourite Vijender Singh recorded an easy win against Kazakhstan's Danabek Sukhanov to advance to the round of 16 of the 2012 London Olympic Games. Vijender is now one bout away from a place in the quarter-finals in the middleweight (75kg) class. He pounded his way to a solid 14-10 victory. We pray that the Indian medal winner in Beijing 2008 betters his own performance this time. All the best to India and to him. There is something more to cheer and Jai Bhagwan moved into the round of 16 with a convincing 18-8 victory over Andrique Allisop of Seychelles a few minutes ago. The lightweight category is 60 kgs. Bouts take place over three rounds of three minutes each. Boxers score points for every punch they land successfully on their opponent’s head or upper body. If a boxer is knocked to the ground and fails to get up within a count of 10 from the referee, the bout is over. The event is run in a single elimination format. . The winners of the two semi-finals compete for the gold medal. The losers of the semi-finals are each awarded a bronze. 29th July 2012 @ 8 pm. Olympic Parade - Saudi women (walk behind) - Indian women ?? I had posted about the "Parade of Nations" in the Olympics Opening Ceremony. The opening ceremony at London Olympics 2012 was a spectacular event and during the Parade of Nations, athletes from each country participating in the Olympics paraded in the Olympic Stadium, preceded by their flag. The flag was borne by a sportsperson or official from that country chosen either by the National Olympic Committee or by the athletes themselves to represent their country. The teams walked around the stadium to the sound of the iconic modern music of Britain and Ireland. Going by the tradition, national team of Greece entered first, as the original host of the Olympic Games, and the host country – in this case Great Britain marched into the stadium last. All other countries entered the stadium in name order in the language of the host country, which in this case is the English language. Each team entered the stadium led by three individuals: the flagbearer in the centre, a child volunteer carrying what looked like a metal vase and a young lady carrying a sign stating the country's name. The child volunteer was actually carrying a copper petal engraved with the name of the nation, which would be used to build the Olympic Cauldron for the torch relay destination. The flags were planted on the Glastonbury Tor representation in the stadium. The volunteer carrying the country name sign was wearing a dress made entirely from fabric printed with photos of Olympic volunteers. Elsewhere in Saudi, the parade created ripples as this is the first time ever that women from ultra-conservative kingdom are participating and there was criticism in placing female athletes behind the men in the opening ceremony. Saudi Arabia, which applies a strict version of Islamic sharia law and imposes constraints on women, agreed to send women athletes to the Olympics on condition that they respect a strict dress code. In the opening ceremony the two women, Judoka Wojdan Shaherkani and US-raised 800m runner Sarah Attar, walked behind their male colleagues in the Saudi team. Rights activist Manal al-Sharif is quoted as writing "Saudi Arabia will remain in the back seat as long as its women are in the back seat," she wrote. There has been strong criticism on the female athletes as well at the Kingdom. 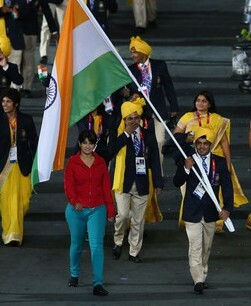 Back home in India, we have no such issues as the Indian contingent has a fair sprinkling of women and in the march past a woman walked close to the flagbearer Sushilkumar. Sure many would jostle to be in the limelight and be caught in camera flashes during such occasions. The dress theme was ‘team yellow’ as the men wore yellow safas, navy blue blazers, cream-coloured trousers, off-white shirts and ties, and the women were dressed in elegant sarees. And alongside Sushin was a women in stark red top and blue tight pants, smiling and waving hands at cameras. Who was she ? – now everyone seem to be questioning and the Indian camp is clueless about the trespasser's identity. "She had no business being there. It was a clear case of intrusion," said the acting chef-demission,Brig P K M Raja. "We are taking up the issue with the organizers. We don't know who she is and why she was allowed to walk in." The Indians suspect a security breach and have decided to take up the matter with theLondon Olympic Games Organizing Committee (LOCOG). 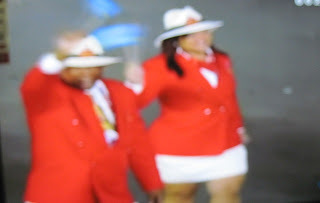 Shame that while the medal prospecting athletes walked behind, an unknown lady was infront shoulder to shoulder with the flagbearer and the Chef de mission himself is not aware of who she is – but why and how was she allowed to be there for such a long time ? The march past is for the athletes and officials attached to the contingent and sure the mystery women is not going to get Team India any medal !!!! 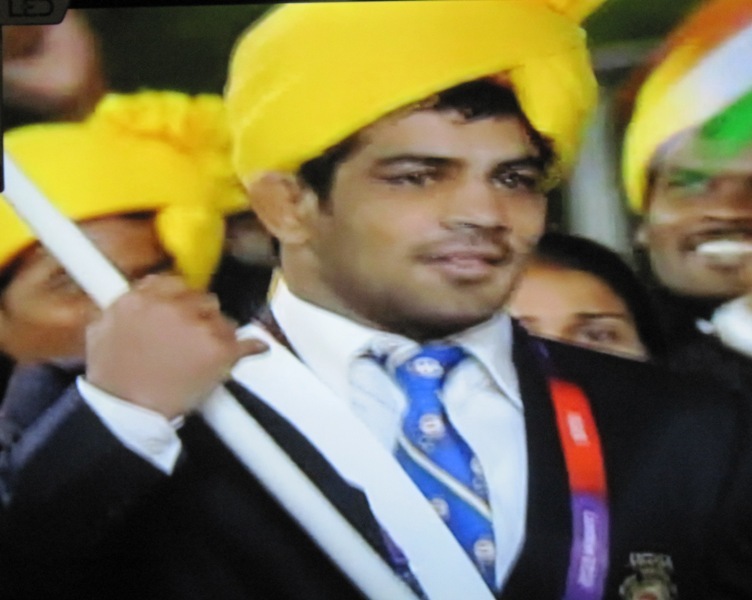 Sushil kumar leads India in Olympic Parade - and Aruba - who / where ? The greatest arena for Sports – Olympics, got off to a spectacular start and due to the timing, at India, we were not able to relish the opening show. This morning was looking at the highlights of the Opening ceremony. The traditional part of the ceremonies starts with a "Parade of Nations", during which most participating athletes march into the stadium, country by country. 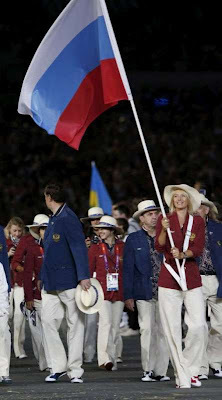 It is not compulsory for athletes to participate in the opening ceremonies. Each country's delegation is led by a sign with the name of their country and by their nation's flag and one naturally gets emotional seeing their own Country as also their favourite athletes marching in. Traditionally (starting at the 1928 Summer Olympics), Greece enters first, due to its historical status as the progenitor of the Olympics, while the host nation marches last. All other participating teams march after Greece and before the host nation, in order according to a language that the organizing committee for those games selects, which is usually the dominant language in the area of the host city. Announcers announce each country's name in English and French, as they both are the official languages of the Olympics, and the dominant language of the area of the host city, if neither English nor French are the dominant languages. Huge cheers welcomed the colourful Indian delegation into the Olympic Park during the opening ceremony of the London Games. The 81-strong Indian contingent, the biggest ever, was led by wrestler Sushil Kumar, a bronze medallist in the 2008 Beijing Games. It was a smartly dressed Indian contingent. The men wore yellow safas, navy blue blazers, cream-coloured trousers, off-white shirts and ties, and the women were dressed in elegant sarees. There of course is a large contingent of Officials and support staff as well. .
Four years ago, India won three medals, gold for shooter Abhinav Bindra and bronze medals for Sushil and boxer Vijender Singh – and we eternally hope to improve the medal tally to double figures !! Leading the contingent as flag-bearer is a great honour and there were days of speculation as to who it would be, before it fell on wrestler Sushil kumar. Sushil Kumar won the gold medal in the 66 kg freestyle competition at the FILA 2010 World Wrestling Championships and a bronze medal in the Men's 66kg Freestyle Wrestling event at the 2008 Beijing Olympics. The names of top boxer Vijender Singh, tennis legend Leander Paes and ace shooter Abhinav Bindra were also doing the rounds for the honour. Ajit Pal Singh has been named the chef de mission of the Indian contingent by the IOA. The games are being telecast live in ESPN Star Sports and all Olympic events in which Indian athletes are competing will be shown on Doordarshan (DD). Naturally, there was a larger contingent from Australia and they generally return with many medals too. Then came Aruba…. Aruba – who ? – with a tiny contingent. Understand that Aruba has never had more than 4 athletes representing in any edition of the Games. They are competing in Judo, Swimming and Weighlifting. Aruba is a 33 km-long island of the Lesser Antilles in the southern Caribbean Sea, located 27 km north of the coast of Venezuela and approximately 130 km east of Guajira Peninsula (Colombia). Aruba and all the Dutch and former-Dutch islands in the Antilles together, are commonly referred to as the Netherlands Antilles (or the Dutch Antilles). Aruba is one of the four constituent countries that form the Kingdom of the Netherlands, together with the Netherlands, Curaçao, and Sint Maarten whose citizens share a single nationality: Dutch citizen. Aruba has no administrative subdivisions, but for census purposes is divided into eight regions. Its capital is Oranjestad. It has a land area of 179 square kilometres (69 sq mi) and is densely populated with a total of 101,484 inhabitants at the 2010 Census. Every year as the month end of July approaches, people become restless – for 31st July is the last date for filing Income Tax returns for individuals. Most pantries will reverberate heated discussions on how hard the Dept is on slapping taxes and how difficult and cumbersome it is to file one’s returns and claim refunds. Some would argue that since their income is by way of salary which is deducted at source, there is no need for filing returns – which certainly is not correct. There are of course simpler ways – why wait till the last minute and join the mad rush ! Last year in June 2011, the Central Board of Direct Taxes vide their notification : No.402/92/2006-MC (14 of 2011) dated 23rd June, 2011, notified the scheme exempting salaried taxpayers with total income up to Rs.5 lakh from filing income tax return for assessment year 2011-12. The exemption from filing I-T returns is applicable only if 'the total income of the employee does not exceed Rs. 5 lakh ... (and) the annual interest earned from savings bank account is less than Rs.10,000' for assessment year 2012-13. Filing I-T returns is, however, necessary to claim refunds. Further the exemption is permissible only where the assessee has received a certificate of tax deduction in Form 16 from the employer. Earlier, it was obligatory for all salaried persons to file income tax returns under the Income Tax Act, 1961. So, if you are one who has taxable income arising out of salary less than Rs.5 lakhs, you need not have the hassle of rushing out to the long special counters of Income tax Department. The Central Board of Direct Taxes (CBDT) has clarified that the scheme of exemption from filing their income-tax returns as detailed above is applicable for assessment year 2012-13 (financial year 2011-12) also. 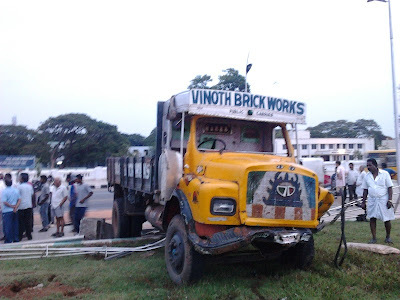 The roads of Chennai are fast becoming killing fields with so many accidents getting reported – with some stretches like Tambaram, far off Manali – becoming notorious for the no. of accidents and the casualties. People drive mad, often without control. Most driver lack or are not aware of the road sense, road discipline, respecting signals and road rules, respecting the other road users, allowing elderly, small and disabled to cross the roads – all these are missing. At every signal, you can spot vehicles jumping the signals or driving faster when the signal has already closed. There are fools, [even owning some costly cars] who drive faster behind the ambulance, when the ambulance somehow wades its way through. There are barricades put up in late hours and removed after dawn – they are placed partially across the road one on the left and the other after a few meters on the right – intending that vehicles will have to slow down and pass them one by one, slightly altering their paths; but they become so dreaded and dangerous as most vehicles, especially the commercial taxies, sumos, and trucks – never care to reduce their speed would swerve dangerously making everyone else run for cover and they pass those barriers so recklessly. Coming back, Marina beach has beautiful wide platform on which hundreds do their morning walk – this is protected by iron railings placed on stone pedestals – after the footpath, there are again, smaller girders and then grassy lawns – many statues there inside. 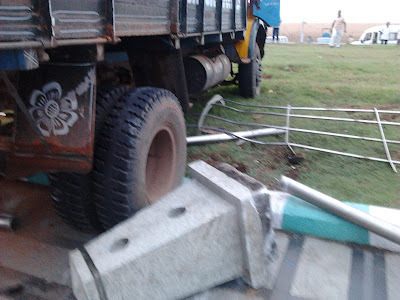 This morning [28th July 2012] near Avvaiyar statue - saw a lorry, which had totally lost its control – ran through the barrier, the pavement, dislodged the stone pedestal and into the lawns – the speed, lack of control, arrogant driving – all there to see. 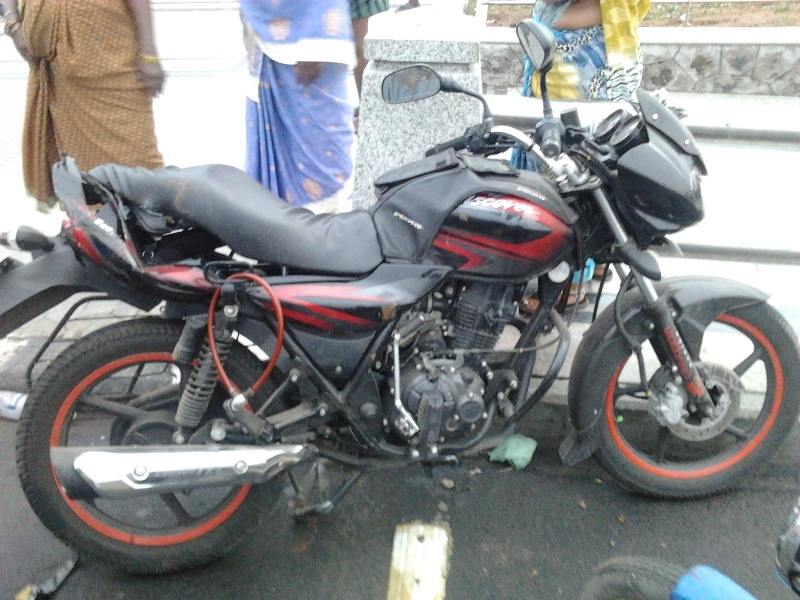 Sad that in that process, it killed a two wheeler rider, in the early morning of around 0430 – perhaps a person who was going home after finishing nightshift or somebody going to job early in the day. 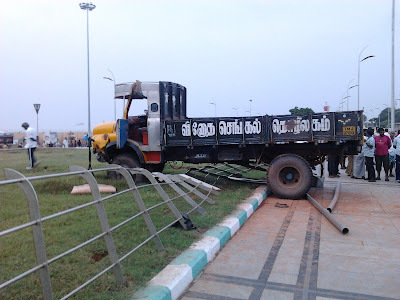 Sad, and most likely that the 2 wheeler was riding on his path, as could be seen from the accident spot. Whether the truck was indeed driven by a driver with valid license, whether he was intoxicated or slept at the wheel or something else happened – all can be hazarded a guess. Sure, there is need for very strong measures to bring in road discipline and stop the spilling of blood on road. The 26 year-old, who hails from Chungbuk, South Korea already has two Olympic gold medals to his name, having won the team event in Athens – aged only 18 – and Beijing four years ago. he set a new world record score of 699 in the ranking round at Lord's Cricket Ground. Olympics is all about high performance and every year we records tumbling down as new benchmarks are set – so what is unusual about it ! – one may wonder. It is a staggering feat when one considers that he is legally blind. Legal and blindness – one starts wondering !!!! His emergence as one of the best archers in the world is indeed remarkable, considering his distinct disadvantage. He is Im Dong-Hyun the specialist archer of the Korean national team. Olympic and achievements are nothing new to him – in 2004, Im set a world record in the 72 arrow men's individual ranking round, with a score of 687. Im was also a member of Korea's gold medal men's archery team at the 2004 Summer Olympics. At Beijing in 2008, Im finished his ranking round with a total of 670 points, nine points behind leader Juan René Serrano. In the final Italy came close, but South Korea took the title with 227–225. Continuing in the winning vein at London, Im today, set a new world record score of 699 in the ranking round at Lord's Cricket Ground. Today, he broke his own record in the 72-arrow mark and helping South Korea set a team record in the ranking round. He combined with Kim Bub-min and Oh Jin-hyek, smashing the record for 216 arrows with a total 2,087. That was 18 better than the mark South Korea set in May. The 26-year-old Im has said that when he looks at the targets, he sees colors with blurred lines between them. He does not wear glasses in competition, saying he relies on distinguishing between the bright colors of the target. Preliminary rounds were listed as non-ticketed, so several thousand spectators showed up at the venue expecting to get in for free. But the Organising Committee said that the early competitions were not open for spectators. It belies common thinking that in a sport that demands incredible focus and sight more than anything else, Im has overcome the strongest of obstacles to throw down archery's finest Olympic effort. Blindness is the condition of lacking visual perception due to physiological or neurological factors. Various scales have been developed to describe the extent of vision loss and define blindness. Total blindness is the complete lack of form and visual light perception and is clinically recorded as NLP, an abbreviation for "no light perception. To determine which people may need special assistance because of their visual disabilities, various governmental jurisdictions have formulated more complex definitions referred to as legal blindness. In North America and most of Europe, legal blindness is defined as visual acuity (vision) of 20/200 (6/60) or less in the better eye with best correction possible. This means that a legally blind individual would have to stand 20 feet (6.1 m) from an object to see it—with corrective lenses—with the same degree of clarity as a normally sighted person could from 200 feet (61 m). Im Dong-Hyun has 20/200 vision in his left eye, meaning he needs to be 10 times closer to see an object than someone with perfect 20/20 vision. His right eye, meanwhile, is not much better – he has 20/100 vision in that one – and yet he has no problem in hitting a 122cm target from 70 metres. So to succeed one should have a strong determination, will to succeed and hard practice – rest of everything then becomes immaterial as proved by Im. It is only a few hours to go for the most awaited biggest Sporting Event – the London Olympics. The grand opening ceremony will be called "The Isles of Wonder". Oscar-winning director Danny Boyle is the artistic director who is co-ordinating and designing the opening ceremony. The three-hour spectacle in the Olympic Stadium is expected to be viewed by a global TV audience of 1bn. The final day of the torch relay will see the Olympic flame taken along the Thames on royal row barge Gloriana - and then used to light the cauldron that will shine during 16 days of sport. Europe's largest bell will ring inside the stadium at 21:00 BST at the start of the £27m extravaganza, featuring a cast of 10,000 volunteers and said to be a quirky take on British life. The crowd of about 80,000 at the venue will include the Queen and a host of dignitaries and celebrities. The sporting action, which officially began on Wednesday with the women's football competition, continues with archery at Lord's cricket ground. More than 10,000 athletes from 204 nations will take part in the London Olympics. The games will be officially opened by Queen Elizabeth II and Prince Philip, Duke of Edinburgh. During the television coverage of the ceremony a short film starring Daniel Craig as secret agent James Bond will be screened. Paul McCartney has announced that he will perform at the close of the ceremony. The opening ceremony will include a soundtrack based on iconic pieces of British music, including the theme tunes from Doctor Who and radio soap opera The Archers, pop and rock songs, and pieces of classical music. In June 2012, Boyle showcased the London Olympic opening ceremony preview, which promised a huge set – the use of real animals drew criticism from the animal rights organisation PETA. A. R. Rahman who worked with Boyle in Slumdog Millionaire (2008) and the biographical film 127 Hours (2010)– said that he had composed a Punjabi song for the opening ceremony. It will be a part of a medley which will showcase Indian influence in the UK, according to Boyle's wishes. Cinema is often interesting – there could be some illogical scenes, often they are only exaggeration of what one sees in the Society. ‘whether Cinema influences the Society, or whether it only reflects what happens in Society’ can be an unending debate !!! One of Kamal Hassan’s all time greats would sure include ‘Indian’ [Hindusthani in Hindi; Bharatheeyudu in Telegu] - a 1996 Tamil political thriller film directed by S. Shankar and produced by A. M. Rathnam. Kamal did dual role one of a brave soldier Senapathy from INA who wants to set the corrupt society aright by handing out punishments and the other Chandru, a small-time broker outside the RTO (Road Transport Office) who gets people to high positions by accepting bribes and by crook becomes a brake inspector. The corrupt officer after being bribed renews Fitness for a rickety school bus which has faulty brakes – the bus meets with a grave accident killing many children and Chandru continues to bribe the officials trying to cover up. The father Senapathy is bent on killing Chandru as a punishment. In the climax, after a terrific chase, there is an explosion – in the epilogue, Senapathy surfaces in a foreign land talking over phone to say that ‘there will not ever be death for Indian’. Sad, Shruthi the beautiful innocent six year old girl child was seen on posters pasted on the walls of Mudichur, a suburb off Chennai. 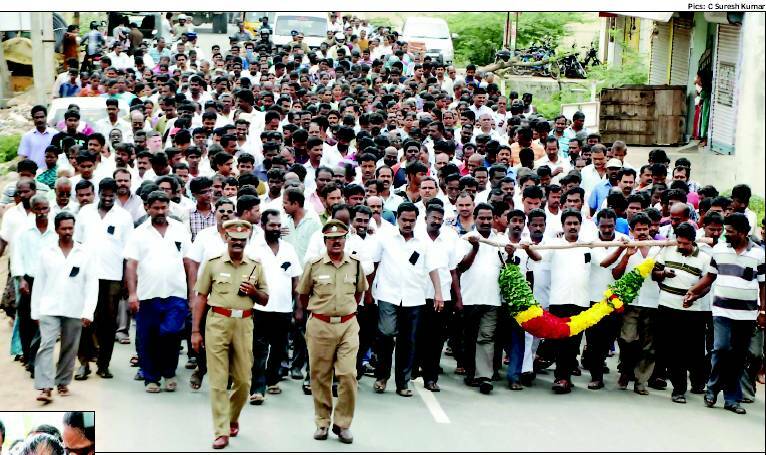 The little girl’s death shaked the locality as thousands took part in the silent mourning procession. The shops in the locality downed their shutters. Sad for it was a death occasioned by sheer negligence. The unfortunate girl slipped through a hole on the floor of the school bus she was travelling and was run over by the rear wheel of the same vehicle. Going by newspaper reports, S.Sruthi, a class II student of Zion Matriculation Higher Secondary School in Indira Nagar in Selaiyur, Tambaram, was seated on the sixth row on the bus (TN 23 S 9952). It was 4.05 p.m. Her stop, near Manimangalam koot road on Mudichur Road, was near. Sruthi got up, but her little feet slipped into a gaping hole right under the seat, into the road below. The rear wheels of the bus ran over her, killing her instantly. Students inside the bus and other motorists raised an alarm, but it was a while before the bus driver Seeman realised what had happened, according to an eye-witness. Intercepted by motorists, the driver brought the bus to halt at Habibullah Avenue bus stop. Commuters beat up the driver and the bus' attender. A police patrol vehicle secured the duo from a quickly growing mob. By 4.30 p.m., angry parents, residents and passing motorists had damaged the bus and deflated its tyres, before soaking a piece of cloth in petrol and setting the vehicle ablaze at. A fire tender from Tambaram reached the spot about 30 minutes later and put out the fire, but the bus was gutted by then. The accident brought traffic to a grinding halt on the stretch. 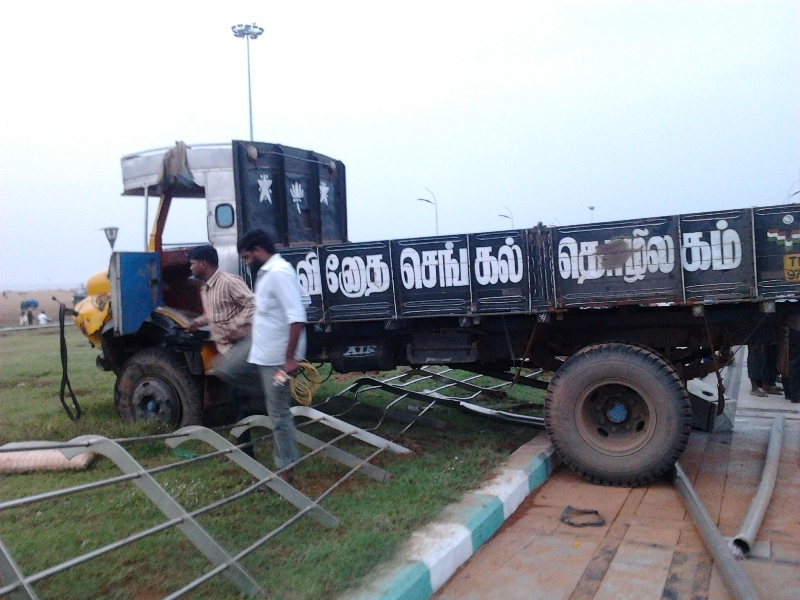 Police sources said the vehicle had received its fitness certificate less than six months back. N. Vijayan, Correspondent of Zion Group of Schools, said they had declared a holiday on Thursday and added that the school would give compensation to the family. 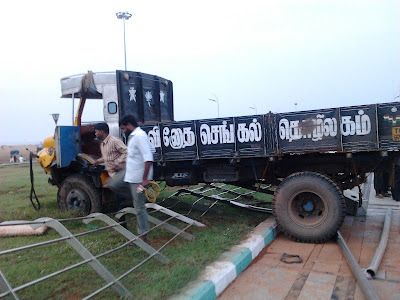 Mr. Vijayan said the bus was taken on contract by Yogeswaran. However, an officer of the Transport Department said that the bus was registered in the school’s name. Kancheepuram collector Hanish Chhabra came to console the family and hand over the government’s solatium of Rs 1 lakh. 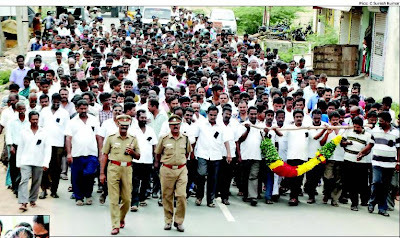 The people surrounded him demanding immediate action against those responsible for the incident. The Tambaram regional transport officer, Pathapasamy, and a road inspector were suspended immediately – the two were responsible for renewing the fitness certificate of the school bus on July 9. Chief minister J Jayalalithaa condoled the death of the child and said that strict action would be taken against the authorities. The CM has announced a solatium of Rs one lakh to the girl’s family. After the incident, there are reports that Govt. has asked the regional transport officers (RTO), the highest transport authority in a zone, to run their eyes through every vehicle of education institutions that comes for annual fitness certificate. Reportedly only a small % of the vehicles were inspected at the time of certification. There are rules and laws but the authorities are either not interested or do not possess enough men and will to implement. 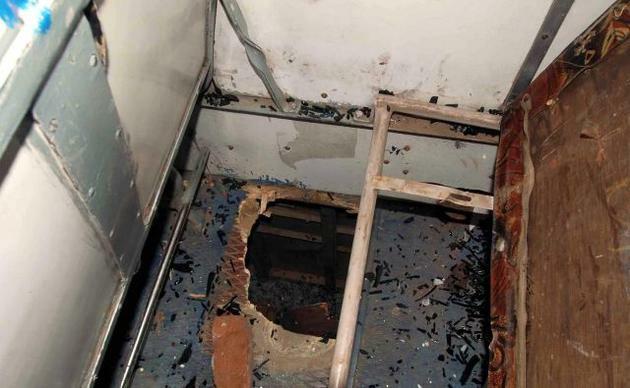 The gaping hole in the bus : photo; thehindu.com. A day after the shocking death of a six-yearold girl, an incensed Madras high court took suo motu note of the incident and summoned the school and regional transport authorities to be present in court on Friday. Hours later, the Tamil Nadu government responded by arresting the school correspondent, the bus driver and the contract vehicle’s owner. The school education department slapped a showcause notice on the school, asking why its recognition should not be revoked, as one of the conditions for grant of recognition is that it should take responsibility for the transportation and safety of children. The Court felt strongly for the caving in of the floor of a bus which had been clearance only a few days earlier. The Court has passed strictures and a few heads may roll – but sadly it was sheer negligence of everybody that claimed the life of a tender child. On road as you drive, you see so many rickety vehicles, all are subjected to periodical inspection and pass through, they become killer vehicles – the condition of the vehicles are rank bad, and a look at those at the wheel, will kill your confidence – small, illiterate, arrogant boys who sure do not know the fundamentals of road discipline, who do not care for road rules; who care a damn for the life of others – drive vehicles rashly and negligently often abusing everyone on their way. The city roads are fast becoming most unruly, most law breaking, killer grounds with almost all – the driver, the walker, the pedestrian, the passerby – all speaking on their mobile while crossing the road, standing at public place and while driving. Schools collect thousands as donations and this is care that they have for children. Often school children travel by vans / autos and other contraptions run by contractors – the conditions of these vehicles are fearsome, to say the least. It is violence unprecedented – shocking and sad ! – Assam is burning – you may never get to know the real picture from the partisan media – but be sure, just because there is not much of TV footage, the situation is not any better. All of us know, Assam is no Gujarat and Tarun Gogoi is no Narendra Modi – so the media would not cry hoarse about the violence – which has grave implications on the Nation. It is not a violence eruption of a single day / single incident – the riot situation reportedly had been smouldering in the ethnically sensitive Bodoland Territorial Administered Districts (BTAD)—Kokrajhar, Baska, and Chirang barring Udalguri in Assam. The Administrators were not prepared or keen to anticipate trouble and still slower initiating action to quelling the flare-up. The Print and electronic media may never capture or expost the riots unfolding in a Congress-ruled state. The CM Gogoi goes on record claiming it to be a revelation of economic disparity. Far away from the truth. One of the most striking aspect is it is communal and India cannot claim or is forced to announce that there is no outsider hand – India does not fear Bangladesh but has only its wrong policies to blame. The minority men who attacked the Bodo tribals and drove them out of their homes are in fact Indians, as they have got all rights and privileges from branded Bangladeshi settlers to Indian citizens. It is the fundamental problem of latest riots and simmering tensions in Assam and elsewhere in the North East: the problem of unchecked infiltration of Bangladeshis into India. Assam is reaping the wages of communal politics. This time largely of the Congress variety — where vote banks have been courted through the clandestine encouragement of illegal Bangladeshi migrants over the last few decades. The Bodo-Bangladeshi migrant clashes in Kokrajhar district — now heading for a toll close to 50 — are only the latest payback in this kind of politics. The ethnic Assamese, Bodos and other inhabitants, now fear — as they always have — that they will become minorities in their own states and district territories. That seemingly is a realistic fear, and given current illegal immigration trends. It is common knowledge that there may be deliberate undercounting of illegal immigrants due to political machinations. It has been happening systematically and the demographics of the north-east has been impacted by illegal Bangladeshi immigrants, due to the sheer weight of population pressures in Bangladesh, which pushes them into Assam and the rest of the north-east; and the pull effect of jobs and economic growth in India. The fear would be more when you dare to think that the illegal immigration is not restricted to North East, but you can find themselves everywhere in every City -Delhi, Mumbai, and not restricted to the eastern states of West Bengal, Bihar and Orissa. So illegal immigrants walk in royally, you have the politicians bending to provide them everything including ration cards for votes and they resort of first petty crimes, burglary, drugs pedaling, bootlegging, crime against women, and War against the State eventually. There is no ISI involvement as often what P Chidambaram would cry on every crime occurrence in any metropolis. When will we have a strong political will to stop such illegal immigration and treat immigrants as immigrants, is there anything wrong in such an attitude ? - can you ever think of such an exodus in to US, France, England, Japan or Australia… why is India so weak-kneed !!!! You read news of Nigerian women landing in Hyderabad for menial jobs and over a period of time what will happen, the Nation and politicians need to ponder. The Assam violence should remind us of this larger Indian responsibility. We already have immigrants flowing from Nepal, Bangladesh, Burma and Sri Lanka – and each of them are treated differently for varied and known reasons !!!!!!!! Violence should never be justified but it is not that Bodos are on a short fuse all the time? A It is not that Bodos as a community is given to fighting all the time – may be sometimes they are forced to do that for survival. It would make a very sad piece of history if the largest and the oldest plain tribe in Assam with a rich cultural history were to be known for their conflicts only – they are becoming a trouble-torn society. “It is not land issue alone. It is deprivation on several fronts. Our areas remain underdeveloped,” All Bodo Students’ Union (ABSU) president Pramod Boro toldFirstpost from Kokrajhar over telephone. He would not admit that Bodos are prone to picking up fights. “With the Assamese and Bengali population we have led a fairly peaceful life. In 1996, we had an ethnic clash with the Adivasis. But I believe that it was a third force that ignited the fire between the Santhals and the Bodos,” Boro said. It is no secret that Bodo militant groups like the National Democratic Front of Bodoland and Bodo Liberation Tigers Front used gun power to scare away non-Bodo population from Bodo areas. The groups used force to assert their dominance in areas where they were in minority. The latest conflict involves Bangladeshi migrants. According to Bodo leaders, there has been large scale influx of illegal migrants to the Bodo districts. The local population is now at the risk of turning into a minority. The increasing population increases pressure on common economic resources too, they maintain. “Bangladeshis are filling Assam every day. This is not a secret…They would no longer be a minority. They would be majority very soon. Bangladeshis are a real threat.” Kameswar Brahma, president, Bodo Sahitya Sabha (BSS), agrees. Sure the bloodshed would be arrested but Peace will return only when the Administrators, the Rulers show the political gumption and strong will to strike at the root of the problem and strategise long term policies to end the recurring violence. We have National Holidays and We celebrate important days for the Nation including The Independence Day (Aug 15th) and Republic Day (26th Jan) – we recall the birth and death days of important National leaders. Another day is more important than most of them… 26th July…. The Kargil Diwas.. in very many countries, Victory day is a much celebrated day commemorating the victory in an important battle for the honour of the Nation. Kargil War was fought on the high glaciers of Himalayas between May and July 1999 – 13 years ago. During that time Pak soldiers infiltrated and after valiant fight, India recaptured the positions, in exhibiting the highest valour in high altitude warfare in mountainous terrains. This year, today on 25th July itself a two day commemorative celerations have begun. A massive tricolour, weighing 15 kg, was hoisted at the Kargil war memorial here in Drass sub-sector as part of the celebrations of the 13th anniversary of victory in the 1999 war. The flag is 37 and a half feet in length, 25 feet in width and weighs 15 kilograms, chief executive officer of National Flag Foundation of India Commander (retired) K V Singh said. Singh said the flag hoisted at the Kargil war memorial here at Drass, 150 kilometers from Srinagar, is "more than double in dimensions" than the ones which are hoisted over Red Fort and Parliament house in New Delhi. The flag was hoisted over a specially built pole which is three tons in weight, 101 feet tall and 15 feet below the ground. Singh, a retired naval commander, who manages the affairs of the foundation which presented the flag to the Army unit here, said the idea is to "promote the national flag by making them monumental". The flag, made of knitted polyester, was hoisted by the General Officer Commanding-in-Chief of Army's Northern Command Lt Gen K T Parnaik and Member of Parliament Naveen Jindal, who heads the flag foundation. "It is a very significant occasion for us today because we are celebrating the victory day of the Kargil war...and on this very pious occasion Shri Jindal has gifted us this wonderful flag of ours. It is a huge flag which will flutter here 24 cross seven," Lt Gen Parnaik told reporters at the war memorial. Jindal, who heads the non-profit flag foundation, said the aim of installing these "monumental" flags and flag poles is to "popularise" the national flag. "We are feeling proud by presenting the tricolour in the form of a monument. This flag, which is fluttering in front of us, is our national pride," Jindal said. Kargil Vijay Diwas, is the day named after the success of Operation Vijay. On this day, 26 July 1999, India successfully took command of the high outposts which had been lost to Pakistani intruders. The Kargil war was fought for more than 60 days, ended on 26 July. This did result in the loss of lives but not the honour of the Nation. Kargil was not high altitude alone it represents the hardest of places. There is the ice-clad Himalayas which would be scenic to a tourist but life out there is extremely difficult. There are army posts in high glaciers where they would have no companion for kilo meters – some even turn lunatics due to loneliness – there would be gusty winds and chilling temperature. The terrain of the Kargil and surrounding regions of the LOC is inhospitable in the best of times. Some of the characteristics of the region are jagged heights of up to 18,000 feet and harsh gusts of wind and temperatures plunging to about -60 degrees Celsius in the winter. The battle of Kargil was not fought on land but on the high altitude peaks and ridgelines most of which are over 16000 ft.; in regions which are dry and extremely cold, snow covered and not the place where humans can survive. Due to the extreme weather conditions, the armies of either side reportedly were not occupying posts between Sept to April. July 26, 1999 will remain written in gold in the annals of Indian history as a day when the determined Indian forces achieved a glorious victory forcing Pak army to retreat. It was on this day that the Indian victory over Pakistan was complete. True to its character despite having to pay a heavy price for fighting a war within its territory, the Indian forces allowed the Pakistanis to return across the Line of Control (LoC). It was a gesture which depicted the great Indian tradition of forgiving even the enemy. There were reports that Pak had chosen to torture and kill the Indian prisoners of War (PoWs), rather than handing them over safely as was done by India through the International Committee of the Red Cross (ICRC). WAR is never to be craved for, it causes innumerable and irreparable losses to both the warring sides. But no Nation can afford to forget the sacrifices of its warriors. Kargil has lessons for both, India and Pakistan. The peaks of Tololing and Tiger Hill once reverberated in Indian news etched in history. India would remain a peace loving Nation having good relationship with its neighbours but should remember that there are military adventurist army driven Nations who have the propensity to engage in conflicts notwithstanding any episodic peace rhetoric. The Nation needs to remain prepared and strong militarily and in terms of civil defence measures but should not never get buoyed by war calls. Today, is the time, we remember the martyrs of Kargil. At Kargil, a polo match between a local team and Army's Ladakh Scouts will be held later in the day followed by a cultural programme by local artists and Army units. A motorcycle show by Army's 'Tornadoes' team will also be held on the day one of the celebrations. The two-day commemoration will also include a wreath laying ceremony at the war memorial, 'sainik samelan' (soldiers meet), memorial service and band display, all scheduled for tomorrow. Widows and relatives of the soldiers who lost their lives in more than two months of intense battles in Kargil, Mushkok, Batalik and Drass will be present through all the memorial events to mark the anniversary. All is not well with Assam – Kokrajhar is burning, thousands of poor people are fleeing their houses and violence escalated. Kokrajhar is located along the bank of Gourang river in Bodoland Territorial Council, Assam. Sad that the death toll in the ethnic violence is put at 32 by the Press as violence escalated in more areas of western Assam with 11 fresh casualties in clashes and police firing, forcing the Centre to rush 1,500 more paramilitary personnel to control the unrest that has claimed 32 lives so far. A concerned Prime Minister Manmohan Singh called up Chief Minister Tarun Gogoi and asked him to do “everything possible” to control the violence while promising Centre’s full cooperation. Security forces in India's Assam state have been given "shoot on sight" orders amid violence that has claimed many lives. The violence was reportedly triggered by the firing on two student leaders who were critically injured – Mohibul Islam of All Bodoland Minority Students’ Union (ABMSU) and Abdul Siddique Sheikh of All Assam Minority Students’ Union (AAMSU) in Kokrajhar. In a retaliatory attack, four former Bodo Liberation Tigers cadres were killed on Friday night in the district and this led to further attacks and counter-attacks resulting in the deaths. There reportedly have been fierce fighting between indigenous tribespeople and Muslim settlers in Kokrajhar and Chirang districts. Tens of thousands of people have fled their homes for relief camps. There have been tensions between indigenous groups and Muslim Bengali migrants to Assam for many years. BBC reports that "The situation is very tense. Both Bodos and Muslims are setting fire to each other's homes. People are fleeing homes as rumours of rioting are spreading. The paramilitary forces have had to fire to control mobs in some areas, and the army has also been deployed,"
Assam Chief Minister Tarun Gogoi has accepted full responsibility for failing to protect the people of both the Bodo and Muslim communities in Western Assam, but has ruled out any possibility of stepping down. Earlier Gogoi accepted that he had failed to provide full protection to the people in the state, but said that he expected the situation to improve in another three to four days. Six Border Security Force companies are now in Assam and were scheduled to reach the Kokrajhar district for damage control. However troops are reportedly finding it hard to proceed due to heavy rainfall. Troops already deployed in the restive areas have commenced flag marches in three of the worst affected districts in the Bodo territories. The State government has set up 151 relief camps to facilitate the tens of thousands of people who are leaving their villages to escape violence. Railway links between Assam and the rest of the country have been disrupted after local people threw stones at an express train travelling through the area, and damaged four coaches, reports say. The communal violence in Assam has left some 25,000 train passengers stranded, the central and Assam governments have been urged to provide security so that train services can resume. A total of 37 trains have been halted at various states due to clashes between Bodo tribals and Bengali speaking Muslims. Very sad that ethnic violence has taken lives of people, thousands rendered homeless and it would take years for the affected to get back to normalcy. Sadly, the administration wakes up only when there is trouble and Government never cares to take appropriate measures to curb such measures. There are places where Srilankan refugees live in base camps lacking even basic amenities and there are places where immigrants from across Burma and Bangladesh live with all facilities, including ration cards, have their power in electing representatives and threaten the natives who have been living in those places for ages. Dara Singh passes away !